QChris committed rLTISd68a304df05f: Add tox setup to run flake8 (authored by QChris). Gerrit Code Review <gerrit@wikimedia.org> committed rECHDe59ae8b4561e: Modified project settings (authored by QChris). Gerrit Code Review <gerrit@wikimedia.org> committed rLTIO1c91b38f7502: Import done. Revoke import grants (authored by QChris). Gerrit Code Review <gerrit@wikimedia.org> committed rLTIO18acb9d947ae: Modify access rules (authored by QChris). QChris committed rLTIO5ec1a8b8b2df: Allow “Gerrit Managers” to import history (authored by QChris). Gerrit Code Review <gerrit@wikimedia.org> committed rLTIO6c1b8ce6378c: Modify access rules (authored by QChris). QChris committed rLTIO0b792b4586cc: Add .gitreview (authored by QChris). 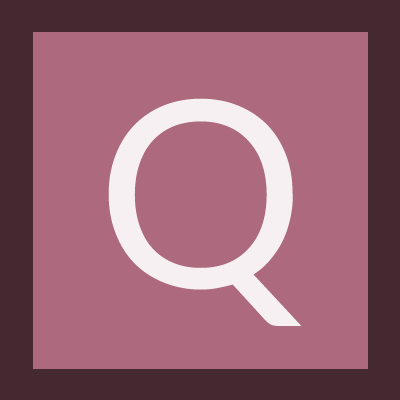 QChris committed R2332:02c6ea5c5de6: Add .gitreview (authored by QChris). QChris committed R2332:b3decd36c82e: Import done. Revoke import grants (authored by QChris). QChris committed R2332:9d150f7e5e65: Allow “Gerrit Managers” to import history (authored by QChris). Gerrit Code Review <gerrit@wikimedia.org> committed R2332:c8c50e339e3d: Created project (authored by QChris). QChris committed rTHMBREXT5c9c0ce6b63a: Import done. Revoke import grants (authored by QChris). QChris committed rTHMBREXTbe1cdcc46a73: Allow “Gerrit Managers” to import history (authored by QChris). Gerrit Code Review <gerrit@wikimedia.org> committed rTHMBREXT77450853e70f: Created project (authored by QChris). QChris committed rTHMBREXT5a447405f817: Add .gitreview (authored by QChris). QChris committed R2296:85f36d1d843e: Import done. Revoke import grants (authored by QChris). QChris committed R2296:d5cb38938dab: Allow “Gerrit Managers” to import history (authored by QChris). Gerrit Code Review <gerrit@wikimedia.org> committed R2296:9dae3b71ae1e: Created project (authored by QChris). QChris committed R2296:8f9272b3f87c: Add .gitreview (authored by QChris). QChris committed R2298:fb85925cb6d9: Allow “Gerrit Managers” to import history (authored by QChris). QChris committed R2298:a837e06c6b39: Import done. Revoke import grants (authored by QChris). QChris committed R2298:4bbae087973d: Add .gitreview (authored by QChris). Gerrit Code Review <gerrit@wikimedia.org> committed R2298:bf440b169472: Created project (authored by QChris). QChris committed R2309:6d09a9bc97d6: Add .gitreview (authored by QChris). QChris committed R2309:9b56ebe238ea: Import done. Revoke import grants (authored by QChris). QChris committed R2309:4fbe4bc7e880: Allow “Gerrit Managers” to import history (authored by QChris). Gerrit Code Review <gerrit@wikimedia.org> committed R2309:c2c90f3f371c: Created project (authored by QChris). QChris committed R2401:7269257249ed: Import done. Revoke import grants (authored by QChris). QChris committed R2401:4529633fb737: Allow “Gerrit Managers” to import history (authored by QChris). Gerrit Code Review <gerrit@wikimedia.org> committed R2401:e265f989a74c: Created project (authored by QChris). QChris committed R2401:376f62601728: Add .gitreview (authored by QChris). Gerrit Code Review <gerrit@wikimedia.org> committed rLTASe7be063702a9: Grant Submit to Owners (authored by QChris). Gerrit Code Review <gerrit@wikimedia.org> committed rAWWC6b2653a049fa: Created project (authored by QChris). QChris committed rAWWCc0588fde358b: Add .gitreview (authored by QChris). QChris committed rJWTH3cbb3bb4c054: Add .gitreview (authored by QChris). QChris committed rJWTH51e9737db5d3: Allow “Gerrit Managers” to import history (authored by QChris). QChris committed rJWTHa4a6f04478b2: Import done. Revoke import grants (authored by QChris). Gerrit Code Review <gerrit@wikimedia.org> committed rEBSR21e9df3665c1: Update patch set 1 (authored by QChris). Gerrit Code Review <gerrit@wikimedia.org> committed rEQGVe6e02200fc16: Update patch set 3 (authored by QChris). Gerrit Code Review <gerrit@wikimedia.org> committed R1889:28e27404a48a: Update patch set 1 (authored by QChris). Gerrit Code Review <gerrit@wikimedia.org> committed rEACL896d01043092: Update patch set 1 (authored by QChris). Gerrit Code Review <gerrit@wikimedia.org> committed rEACLda3d380146ec: Update patch set 1 (authored by QChris). Gerrit Code Review <gerrit@wikimedia.org> committed rEACL8c692c2aa4e1: Update patch set 1 (authored by QChris). Gerrit Code Review <gerrit@wikimedia.org> committed rEACL2021d8437f3b: Create change (authored by QChris). Gerrit Code Review <gerrit@wikimedia.org> committed rLTZBa0795c91f552: Create change (authored by QChris). Gerrit Code Review <gerrit@wikimedia.org> committed rRLPD60fffda4cfaf: Update patch set 1 (authored by QChris). Gerrit Code Review <gerrit@wikimedia.org> committed rRLPDd5bdc9cc4803: Update patch set 1 (authored by QChris). Gerrit Code Review <gerrit@wikimedia.org> committed rRLPD018d0e2dbee2: Create change (authored by QChris). Gerrit Code Review <gerrit@wikimedia.org> committed rEVFA990d99611733: Update patch set 1 (authored by QChris). Gerrit Code Review <gerrit@wikimedia.org> committed rEVFA76c7ec612b25: Update patch set 1 (authored by QChris). Gerrit Code Review <gerrit@wikimedia.org> committed rEVFAcac120d3e7ce: Create change (authored by QChris). Gerrit Code Review <gerrit@wikimedia.org> committed rEVFAd58af12d8871: Update patch set 1 (authored by QChris). Gerrit Code Review <gerrit@wikimedia.org> committed rWB1b2b3f6374ec: Update patch set 1 (authored by QChris). Gerrit Code Review <gerrit@wikimedia.org> committed rWB81edf2700153: Update patch set 1 (authored by QChris). Gerrit Code Review <gerrit@wikimedia.org> committed rWBe75452cd9540: Update patch set 1 (authored by QChris). Gerrit Code Review <gerrit@wikimedia.org> committed rERPGd62406e9e370: Update patch set 1 (authored by QChris). Gerrit Code Review <gerrit@wikimedia.org> committed rERPGc10f07718b72: Create change (authored by QChris). Gerrit Code Review <gerrit@wikimedia.org> committed rERPGc1f5177ef41a: Update patch set 1 (authored by QChris). Gerrit Code Review <gerrit@wikimedia.org> committed rMCPR2aaf80333ae3: Update patch set 1 (authored by QChris). Gerrit Code Review <gerrit@wikimedia.org> committed rMCPRb8c5b6c2cec0: Update patch set 1 (authored by QChris). Gerrit Code Review <gerrit@wikimedia.org> committed rMCPRc02a3f97d8d1: Update patch set 1 (authored by QChris). Gerrit Code Review <gerrit@wikimedia.org> committed rMCPRdbbeb19df6d7: Create change (authored by QChris). Gerrit Code Review <gerrit@wikimedia.org> committed rETMCe81daa6511ba: Update patch set 1 (authored by QChris). Gerrit Code Review <gerrit@wikimedia.org> committed rETMC3a9e948f9c56: Update patch set 1 (authored by QChris). Gerrit Code Review <gerrit@wikimedia.org> committed rETMC23b2a51269a8: Create change (authored by QChris). Gerrit Code Review <gerrit@wikimedia.org> committed rETMC96ff6e67c5f8: Update patch set 1 (authored by QChris). Gerrit Code Review <gerrit@wikimedia.org> committed rETMC7fd2827356b5: Update patch set 1 (authored by QChris). Gerrit Code Review <gerrit@wikimedia.org> committed rETMC20f4d854f99b: Update patch set 1 (authored by QChris). Gerrit Code Review <gerrit@wikimedia.org> committed rETMCbcbe1cb9ebb2: Create change (authored by QChris). Gerrit Code Review <gerrit@wikimedia.org> committed rETMC0a626dce9141: Update patch set 2 (authored by QChris). Gerrit Code Review <gerrit@wikimedia.org> committed rETMC65feff94973c: Update patch set 1 (authored by QChris). Gerrit Code Review <gerrit@wikimedia.org> committed rETMC5bad702c8463: Update patch set 1 (authored by QChris). Gerrit Code Review <gerrit@wikimedia.org> committed rEUAG0b22b99c8e93: Update patch set 1 (authored by QChris). Gerrit Code Review <gerrit@wikimedia.org> committed rEUAG86edf0d5825e: Update patch set 1 (authored by QChris). Gerrit Code Review <gerrit@wikimedia.org> committed rEUAG9a3b5fd9160d: Create change (authored by QChris). Gerrit Code Review <gerrit@wikimedia.org> committed rEUAG52051681deb7: Update patch set 1 (authored by QChris). Gerrit Code Review <gerrit@wikimedia.org> committed rMCCO3aa8b3f6cf00: Update patch set 1 (authored by QChris). Gerrit Code Review <gerrit@wikimedia.org> committed rMCCO536d953c5824: Update patch set 1 (authored by QChris). Gerrit Code Review <gerrit@wikimedia.org> committed rMCCOc10d191c29d8: Update patch set 1 (authored by QChris). Gerrit Code Review <gerrit@wikimedia.org> committed rMCCO2f8eb2b42143: Create change (authored by QChris). Gerrit Code Review <gerrit@wikimedia.org> committed rEBTYac6780500bb7: Update patch set 1 (authored by QChris). Gerrit Code Review <gerrit@wikimedia.org> committed rEBTYdec599adcdd2: Create change (authored by QChris). Gerrit Code Review <gerrit@wikimedia.org> committed rEBTY09919900109a: Update patch set 1 (authored by QChris). Gerrit Code Review <gerrit@wikimedia.org> committed rEBTYab1d140f3c41: Update patch set 1 (authored by QChris). Gerrit Code Review <gerrit@wikimedia.org> committed rEBTY765c75de4152: Update patch set 1 (authored by QChris). Gerrit Code Review <gerrit@wikimedia.org> committed rEBTY6ae0d679bcae: Create change (authored by QChris). Gerrit Code Review <gerrit@wikimedia.org> committed rEBTY7b0074cc4dfa: Update patch set 1 (authored by QChris). Gerrit Code Review <gerrit@wikimedia.org> committed rEBSLa017d9256352: Update patch set 1 (authored by QChris). Gerrit Code Review <gerrit@wikimedia.org> committed rLTCTf88463dc6b6e: Update patch set 1 (authored by QChris). Gerrit Code Review <gerrit@wikimedia.org> committed rLTCTa2379b548d27: Update patch set 1 (authored by QChris). Gerrit Code Review <gerrit@wikimedia.org> committed rLTCT93c93e3617ce: Update patch set 1 (authored by QChris). Gerrit Code Review <gerrit@wikimedia.org> committed rLTCTf9b946db6a99: Create change (authored by QChris). David Pursehouse <dpursehouse@collab.net> committed rGERRITDEPLOYeda4d91a8cad: Allow to provide URLs for docs of external classes (authored by QChris). David Pursehouse <dpursehouse@collab.net> committed rGERRITDEPLOY5f10379dc776: Prepare to render JGit references as links in api documentation (authored by QChris). QChris committed rGERRITDEPLOY97d7b0d7b903: Make gerrit-acceptance-framework's artifacts match plugin's scheme (authored by QChris). QChris committed rGERRITDEPLOY6b7611ba5eac: Fix ConfigUtil's javadoc to use @param instead of invalid @params (authored by QChris). QChris committed rGERRITDEPLOY4bc04bbb79e4: Add tests for AllRequestFilter.FilterProxy (authored by QChris). David Pursehouse <david.pursehouse@sonymobile.com> committed rGERRITDEPLOY40748e5bdc08: Init plugins' AllRequestFilters, even if they are loaded after startup (authored by QChris). QChris committed rGERRITDEPLOY2f192dc987a1: Test 'contains' method in DynamicSet's containment tests (authored by QChris). QChris committed rGERRITDEPLOY5c3629a8d1b1: Move in-function import to file header for BUCK file (authored by QChris).